A review of The Virtue of Nationalism, by Yoram Hazony. Basic Books (September 4, 2018) 304 pages. Saying that nationalism has become the number one topic in the current political and intellectual discourse is to state the obvious. Not a day goes by in the West, without another think-tank symposium, a journal article, an op-ed piece, or a long scholarly book, warning us of the rise of nationalism. With the pro-Brexit vote in Britain and the election of President Donald Trump promoting an “America First” agenda — to the threat that this global political trend poses to the long-term survival of liberal democratic societies, to the foundations of the so-called liberal international order, and perhaps even to the entire Enlightenment Project as we know it. Much of this fashionable bashing of nationalism seems to almost take it for granted, that nationalism, which in essence is the recognition of the nation-state as the central force that provides stability to domestic and international political order, is the close political relative of, if not synonymous with, protectionism, nativism, militarism, religious intolerance, and what is the contemporary embodiment of all evil in the world — racism. And did we mention the Ku Klux Klan, fascism and Nazism? If you challenge the bureaucrats of the European Union, or support the imposition of U.S. tariffs on Chinese imports, or oppose the idea of opening the borders of your country to free immigration or believe that foreigners who want to become Americans should learn English, you will be charged with sounding “almost like” David Duke, Mussolini, or — you guessed it — Hitler! Then I noticed that like Hazony I was born in the second half of the twentieth century, at a time when the support for national independence and the expression of nationalism sentiments, were very much “in,” and a reflection of intellectual broad-mindedness, the kind that liberals and progressives had cherished. In a way, the backward-looking and illiberal forces in the world were represented by those adhering to the anti-nationalist ideology of imperialism, led by Great Britain and France, who were resisting the pressure from nationalist movements in areas in South Asia, the Middle East, and Africa that were under their control. What they wanted was “to chart their own independent course, cultivate their own traditions and pursuing their own interests without foreign interference,” which are, as Hazony puts it, the essential sentiments of the nationalist. Later on in the last century, in the aftermath of the collapse of the European empires, the charge of imperialism was directed at the United States which was trying to contain the forces of nationalism in places like Vietnam and Cuba. The charge was also levelled against the Soviet Union, an empire that suppressed the national aspirations of Poles and Hungarians, Georgians and Armenians (among others). Like Hazony, I was raised in the then new nation-state of Israel, established by the Zionist movement that was committed to the idea of Jewish nationalism and that had led a long fight for independence from the British imperialists who ruled the Land of Israel, or Palestine. 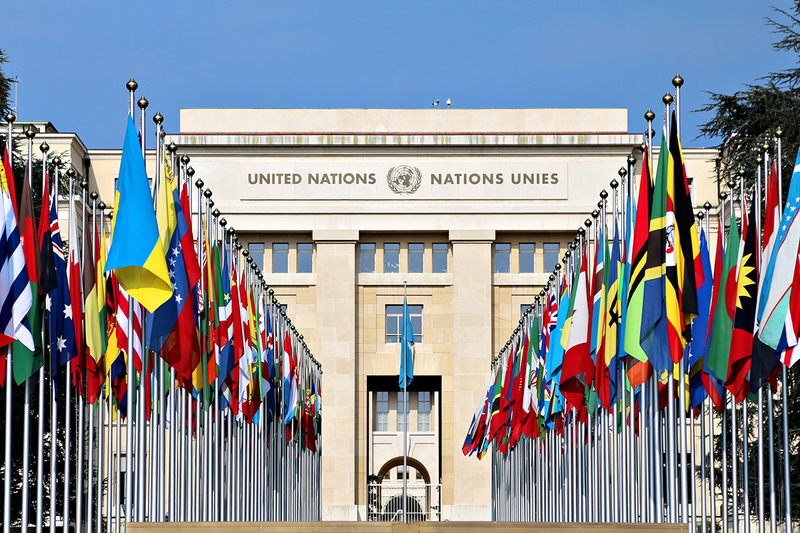 And apropos nationalism; the country was later divided by the United Nations — the emphasis should be on “nations” — between the two people or nations that inhabited it, the Jews and the Arabs. The point is that for most enlightened baby boomers who were raised in the West in the post-World War II era, nationalism was considered to be a force for good. They celebrated the birth of the independent India, Algeria, and other nations in Africa and Asia, and demonstrated against American intervention in Vietnam and Chile, and the Soviet repression of Hungarians and Czechs. And they, like most of their co-citizens, assumed that their main political allegiance was to the nation-state to which they belonged. You obeyed the laws of that state, paid taxes to its government, and were even willing to spill your blood and fight to death to protect it. Moreover, contrary to the myth advanced by today’s proponents of globalism and the anti-nationalist agenda it promotes, the founders of post-1945 security and economic institutions, acting in the aftermath of the defeat of Nazi Germany, fascist Italy, and Imperial Japan, did not set out to transform the traditional international system that had come out of the 1648 Peace of Westphalia. That old system, as Hazony points out, was based on the principle of sovereignty and the right and obligation of national governments to pursue independent policies that would protect their national security and grow their economies. From that perspective, U.S. Presidents Franklin D. Roosevelt and Harry Truman, British Prime Minister Winston Churchill, French leader Charles de Gaulle, were old fashioned nationalists, who concluded that the most effective way to avert future wars and keep the peace would be through cooperation between nation-states, and not by establishing a universal government to which an imaginary world citizen would owe his or her allegiance. And the international — like in “inter-national” — institutions they helped create, such as the United Nations, the International Monetary Fund, and the North Atlantic Treaty Organization, and the European Economic Community assumed that independent nations could continue to advance their national diplomatic, military and economic interests — but could at the same time also collaborate with other nations to achieve common goals. So when and why did the political and intellectual zeitgeist, reflecting these nationalist principles, that Hazony and I — and Presidents John F. Kennedy and Ronald Reagan, and now President Trump — were exposed to and espoused, go through such a dramatic transformation? When did they so-called globalist elite start demanding our complete adherence to the principles of open markets, the free flow of people across borders, and the construction of supranational organizations that would eventually erode the power of the supposedly already moribund nation-state? Hazony believes that the turning point was the end of the Cold War and the accompanying struggle against communism, that saw “the flowering of imperialist political ideals and projects,” when Western leaders became pre-occupied with two imperialist projects. First, what French President de Gaulle and British Prime Minister Margaret Thatcher envisioned would become a Europe of Nations with a common economic market, dominated by a Franco-German duopoly, was gradually transformed into a totally different project, a European Union that has “progressively relieved member nations of many of the powers usually associated with political independence” and all in the name of advancing universal liberal ideals while bidding farewell to the anachronistic national tradition. Then there was the project of establishing an American “world order” under which American diplomatic and military power would force other nations — from Iraq and Afghanistan and the entire greater Middle East to Russia’s near abroad — to abide by international law and to gradually integrate themselves into an international system where American-like democratic values and free market economics would spread and eventually dominate. And here we are today facing an almost manic onslaught against “nationalism” launched by today’s proponents of globalism. These proponents advocate for increases in immigration, free trade, the lowering of tariffs, military interventionism in the name of protecting human rights, and the many forms of global governance that evolved after the end of the Cold War and China’s entry into the global economy. Meanwhile, there is little mention of the notion that the international order should provide governments with the power to protect their nation’s sovereignty. Hazony integrates the discussion of the attack on nationalism and the efforts to replace it by a new form of imperialism as a guiding principle for Western policymakers and intellectuals, into an larger historical and philosophical framework. In this framework, he makes a distinction between the Lockean or civic concept of the state where the bonds between citizens are based on the consent by the individual to become a member of a human collective and abide by its rules; and between a traditionalist or conservative concept of a national state where the loyalty of the individual is transferred from the family and the clan into the national state. The end result being the nation as a collective with unique common historical and cultural traits. In that context, Hazony presents what is probably the most original part of his discussion. Most of us in the West adhere to the Lockean concept of the state which we associate with the rule of law, protection of individual rights, and other liberal values, that place the liberty of the individual at the centre. Which also explains why we regard citizenship as a product of a voluntary act by an individual who agrees to obey the laws of the state. In that context, Hazony proposes that the principles of limited executive power and individual liberties, that we tend to identify with what is construed as a universal concept of liberalism, are actually products of a unique Anglo-American political and cultural tradition rooted in the heritage of the Protestant religion and English history. But contemporary self-proclaimed “liberals” do not understand that the principles they espouse are grounded in that distinctive national tradition. If these principles are not an organic part of a national Anglo-American tradition and allow for a process under which any individual can join the state voluntarily by accepting its rules, why should they not be seen as part of a liberal political tradition — that could be exported to the rest of the world? And that is exactly what the “liberalism” that today’s Western liberals are committed to. It could be described as a Liberal Empire. Ultimately, our liberal imperialist discovers how difficult it is to export the political concepts that sustain individual liberty in the West to the Arab and Muslim worlds and learns that many national societies, including in places like Hungary or Poland, reject his or her definition of liberalism. Moreover, the proponents of the liberal universal project also face resistance from his or her co-citizens who continue to be attached to their own national cultural and historical traditions which they want to preserve and who insist that any individual who wants to join their nation-state needs to adopt and respect those traditions. Finally, the liberal globalists of today have abandoned what in many ways, what Hazony considers to be the centrepiece of the Anglo-American political tradition, which is the quest for national self-determination and strong opposition to universalist and imperialist projects. But Hazony, not unlike the liberal globalists he decries, may be exaggerating the role that ideas and those who advance them play determining the outcome of today’s global political and economic crisis. The earlier success of globalization has less to do with a battle of ideas than with American geo-strategic and geo-economic interests. The support of China’s entry into into the World Trade Organization, the “liberation” of Iraq, and the support for a strong and unified EU were all seen as being in the interests of the United States and worth paying the costs. It is obvious today that many Americans and European are reluctant to pay those costs, and what is being described as the rise of nationalism in the West reflects sentiments among citizens that their governments and elites should return to the original strategy of the post-World War II project. This strategy included quite a lot of economic nationalism and restraint in the use of military power. This reaction basically summarizes what Trumpism and Brexit is all about. But opposition to illegal immigration does not translate into nativism, in the same way that skepticism about the benefits of free trade does not mean that Americans or Europeans want to close their borders to foreign trade and investment, but want to, instead, restructure institutions like the EU or NAFTA. Nor can the resistance to the universal liberal agenda be equated with chauvinism and racism. After all, saluting the flag, respecting the national anthem, and ensuring that all American citizens be fluent in English, was the way most Americans regarded, until recently, as some of the fundamentals of what it meant to be American and belong to the nation. Nor is the distinction between the Lockean or civic concepts of the state and the notion of a nationalist state so clear. What is American nationalism is really a product of a complex historical and cultural processes, that have given birth to what are now considered to be American symbols such as jazz and its African rhythms, and the pizza. Dr. Leon Hadar is a Washington-based global affairs analyst and writer. He is currently a senior analyst with Wikistrat, a geostrategic consulting firm. He is the author of Sandstorm: Policy Failure in the Middle East (Palgrave Macmillan, 2005). Dr. Leon Hadar is a Washington-based global affairs analyst, who writes regularly for the National Interest (Online), The American Conservative, Huffington Post, Asia Times, and Haaretz (Israel). A former research fellow in foreign policy studies at the Cato Institute, New York bureau chief for the Jerusalem Post, and Washington Correspondent for Business Times (Singapore), he is currently a senior analyst with Wikistrat, a geo-strategic consulting firm. He is the author of Sandstorm: Policy Failure in the Middle East (Palgrave Macmillan, 2005). All you have to do is ask yourself this question: Which two groups or forces have the biggest distrust of nationalism and harbor the most “internationalist” of outlooks (albeit for different reasons)? Answer: Multinational corporate capitalism (the really big global companies) and the contemporary political left. In other words, two of the most destructive forces in the modern world. One sees borders, the nation-state, and nationalism as impediments to profits (and would prefer to see them reduced to irrelevance), and the other sees them as symbols or expressions of “exclusivism” and racism. When purposeful greed and clueless idealism join hands in any endeavor -– in this case, to weaken the nation-state –- you know that that the common cause in which they are engaged must be especially noxious and particularly worth fighting against. This dualism you speak of is a fantasy as are the descriptions you provide of them. The essence of globalization is: labor is commoditized as mobile capital is free to roam the globe for the lowest cost labor. In contrast, labor is far less mobile, and unable to shift as fluidly and frictionlessly as capital to exploit scarcities and opportunities. Neoliberalism–the opening of markets and borders–enables capital to effortlessly crush labor. The social democrats, in embracing open borders, have institutionalized an open immigration that shreds the scarcity value of domestic labor in favor of lower cost immigrant labor that serves capital’s desire for lower costs. Because trade and cooperation are bad, symptoms of “greed” rather than increasing global wealth and well being? If you think two people in a country can trade (win-win as all non-coerced trades are), why not between two people in different countries? Liberty works. As do free markets. Virtually everything that’s important and difficult on the critical task list of those living in the world today requires collaboration across lines of language, religion, culture and of course national borders. Even within nominally national borders, much of the workload of the modern state consists of operating bureaucratic systems for policy administration, tax collection and regulation that benefit from scale, due to cost and complexity. Post-national federal states, such as Canada and Europe, are meanwhile among the most modern and successful. The concept of a monocultural “nation” is an unimaginative, nostalgic, and spineless projection from the previous century. Nothing wrong with patriotism nor with acting locally while thinking globally. But, if our most pressing imperatives require us to play well with others in collaborating to ensure that our planet remains habitable and that a globally integrated economy lifts all boats, perspicacious people need to become more cosmopolitan rather than doubling down on reactionary, exclusive nationalist projects, which at any rate have no future in a world that is experiencing rapid cultural convergence. Exclusive nationalism is generally a project of folks who are culturally at a disadvantage, often those with very limited social capital, borderline literacy, and straitened geopolitical horizons. So it’s a little ironic and rather amusing to encounter in Quillette — a cerebral, borderless project that unites intellectuals from all over the world — an interest in playing footsie with this small-minded sensibility and severely dated program. Folks, live abroad for a few years, think about learning another language and continue to make bonds of friendship, common cause, and commerce beyond your own nation. Steve Bannon is doing it. The author of this article is apparently doing it (Israel-raised, “Washington-based”). Quillette is clearly doing it. And you too will be much happier and successful on the globalist train than being mired politically or intellectually in your own national backwater. Steve Bannon and the author of this article on the globalist train? You are joking. We need to observe not what they say but what they do. So, yes. He is that strange bird: a globalist-ethnonationalist. As for the author, his own brief bio acknowledges significant residencies in two countries that are nearly 10,000 km apart. Your ignoring the civil unrest in Europe is duly noted, David Chennells. Brexit, Salvini, the crime rates in Sweden – civil war is coming, and it’ll come because of those who ignore the principle of subsidiarty, ruling locals from afar and foisting onto them ways of life they don’t want. Mark my words. You’re deeply invested in a cosmopolitan, globalist lifestyle. The venom in the words you use to characterize those whose sensibilities do not align with your own indicates that you feel personally attacked by them. You should not. Your ideological opponents are no more correct in their beliefs than you are. Whether you like it or not, tribalism is genetic just like intelligence, behaviour and personality. It’s not about liking nationalism, just like it’s not about liking intelligence inequality. It’s how reality works and you can’t change it without genetic engineering. Racial heterogeneity leads to racial nepotism and civil war/genocide/collapse during times of crisis. Having a few percent of people in a cosmopolitan imperial administration is fine. Destroy racial homogeneity of nations is madness. We are already seeing prosperous metropolises collapsing under racial nepotism of various kinds. Bread and circus can only work in a handful of big imperial metropolises, when the bread baskets also need bread and circus to buy social peace, there is collapse. A megalomanic bourgeoisie living in the “knowledge society” ends up thinking that all is social constructs. The Roman elite thought the same and they collapsed when racial resentment promoted by Christianity was impossible to stop as Romans became the minority in Rome. Soon, barbarians invaded without much opposition from the inhabitants. I don’t care about college professors and big business administrators moving from one imperial centres of power to another. It becomes dangerous when cosmopolitans think that racial tribalism will disappear if you flood the countryside with immigrants. This is an argument classic among cosmopolitans: “race consciousness is a social construct, look how Irish, Italian and Polish are now considered White”. What they don’t want to notice is that the EU crushed viciously Greece, Greece isn’t close enough genetically for Germans and French statesmen to consider that brutalising them with the iron fist of the EU is like stealing from your cousin. The EU cohesion is weak, just like the US cohesion was too weak to create a state monopoly health care system. It’s not because heterogeneity forces alliances with more and more different people that the strength of the bonds will be as strong as with closer allies. It’s not about defining clear boundaries between races, it’s about a continuous decline of solidarity as you continuously cooperate with more and more distant people. And when the links get too weak, a crisis leads to catastrophic disunion. Reading your missive extolling the virtues of globalism is like listening to an apologist for the ‘Empire’ in the Star Wars movie saga. And it made me throw up in my mouth a little. Your vision disgusts me sir! And I’m sure I’m not the only one. Sir, I must inform you as a Canadian that Canada is not a post national state. Some ignorant people have stated it was, and may be so divorced from reality as to believe what they are saying is true. The reality is quite the opposite however, and our Prime Minister was widely and rightly mocked for saying something so stupid. So in your new, grand imaginative world, where each nation is multicultural, and borders are torn down and free movement & expression reigns, the global corporations are free to move and set up shop everywhere, low birthrate cultures like Buddhism get displaced by Islam, and a suburb in Bombay after a few generations gets to have all the same shops and clothes, and music etc as a suburb in Sydney. The pleasure of going somewhere to experience the feel of being emerged in another culture and another place disappears, indeed, why bother to travel at all for the people? Just walk down the street. Is that more wonderful? Is the fact that people have sacrificed the entirety of their enfranchisement to pure weight of numbers of those who can move the most people into a certain area or birth the most people up for consideration? No longer is there the freedom for a place to keep itself as it would wish, because those from outside can buy up and change it at whim? Or if they don’t yet have the numbers to do so just shift more people in over time? There are ZERO gains here. Diversity is associated with loss of social cohesion, increased stress, increased balkanisation, decreased social trust. Want to run a welfare state? What if the propensity to pay taxes (honestly) is related to the perceived fairness of the overall system / and the belief you can rely on yourself or people like yourself getting back from the system what is put in? ..not having it shuffled across to some other tribes interests. How did a lack of homogeneity cause issues in the Middle East, Yugoslavia, India, Africa & Malaysia? Syria today? What protections do you offer that removing the protections of borders and homogeneity would not result in increased sectarian violence? A rise in ethnic gangs? Modern economies produce a number of winners and losers, what if these begin to manifest along racial lines within territories not perviously mixed? What if the current residents disagree on how these differences should be dealt with? Greater distribution (supported by one side) and LESS redistribution favoured on the other? Who is the arbiter? What if the elected arbiter is PERCEIVED to be biased? To favour one side over the other because of an ethnic link? What if it is just demographically decided? Now we are back at the problem that groups can simply keep moving to take things from others, or get what they want via increased brith rates. Your foolish utopian view throws out any realism with regard to race, culture, and the negative consequences of diversity. It assumes that “all people can become enlightened just like you over time, and if they do the problems won’t exist”. But are you seeing that? Did proximity in Iraq reduce tension between groups? In Yugoslavia? In any example? Is Sweden getting less racist or more now that homogeneity is being reduced? All the evidence throughout history to the present day is staked against your ideal world being sustainable or even reachable. When an alternative would simply just be brotherly respect and co-operation between nations, with minimal migration & protected borders why would this not be embraced instead? Why not allow everyone to keep a homogenous culture, allowing the world to keep a huge macro diversity, in preference? Where is the harm? Which future would the Cherokee have chosen if they had the choice? The global world or the keeping of their traditional homogeneity? What about the Australian Aborigines? The Tibetans? I’d warrant that 95% of people actually living in the world would prefer control of their national spaces, over a borderless world. Ask a Thai villager if they would love to go live in Australia, sure for many the answer is yes. Ask them if they’d like Chinese to be able to come and move into their village en-masse and buy up land, or change the local culture.. what is the answer then? A resounding no. Does no-one on the left see the enormous hypocrisy here? Most people if offered a choice do not want their homeland globalised. They by and large want to keep it as it is, or let it have its own free choice to develop as the people with deep connection to the place wish. Seeking a world that runs roughshod over these wishes, of far and away the vast majority of humanity is simply the highest expression of imperialism ever yet written in the world. For the progressive to assume the right to remake the whole world entirely on the lines they think is best for people, not to allow the continuing self-determination for people to decide for themselves, is a crime. Smaller protected units of people enhance enfranchisement. Just do a simple thought exercise at a level that is easy to cognise. My family in my home, we strictly determine who may live in the family home, when it comes to determining what is done in the home we have complete control. Now imagine we let anyone that wishes to make a life in my home the ability to enter, and 5 people do, to add to my familial 4. Now even if all of us vote for X, if the other 5 vote for Y, we do not get what we want. Perhaps we wanted to paint the wall pink, or have “transgender operations” paid out of our communal purse, now we can’t. Maybe we previously had a rule that each person keeps half their wage and donates half to the house, but the new family decides we should only keep 25% each, and the rest go to fund our new household religious shrine (that we didn’t agree with). Open borders destroy enfranchisement. If you destroy enfranchisement you are increasing tyranny and as a necessary consequence violence (both to impose conditions and from those resisting them). THIS is where multicultural societies head. We are not new at this… humans have been at the game of civilisation for millennia.. the perfectly harmonious multicultural society has yet to emerge in ANY place. In Malaysia and Singapore a lid is kept on via strict control, in Iraq under Saddam and Turkey under Erdogan by severe repression. In USA and modern England by sweeping under the carpet the high degree of racial violence and discontent. Once demographics shift, the ability to chart the destiny of a space (without war) becomes lost entirely. Ask the Cherokee, ask an Aborigine, heck ask a White British person voting to change the direction of London, where they are no longer in the majority and so do not have a say. The reality is, although leftists do not possess the self-honesty to see it, that leftists do not care that their projects will fail and do harm, because you know why? So they will take no blame, and even though the new world is worse than the one they deposed, they will leave this world satisfied that “they did everything possible to be a good person, & definitely did the right thing when it came to supporting open, or more open borders”. The fact they had a responsibility to cognise human behaviour and opinions always encompasses a spectrum, and so would never come to represent the de-tribalised society they imagined (because that would require humans coalescing to a point which simply cannot & will not occur). The fact that by initiating a sequence of events that could only flow in one direction once initiated makes them responsible escapes them entirely. They have become the generation that absolutely will not listen. What they also don’t realise is that this is by design. As correctly spoken by another poster above, the globalist owners knew which buttons to press, and which propaganda to support with $billions. NAFTA, i.e. the North American Free Trade Agreement is a misnomer: it is state-managed trade. A free trade agreement can be stated in one sentence: “the contracting parties undertake to remove all barriers to the free trade between their respective peoples”. Any skepticism about the benefits of free trade is entirely unwarranted: trade which doesn’t benefit both trading parties doesn’t happen. Trade happens precisely because both parties perceive that they benefit from it: both parties think that what they receive is more valuable for them than what they give. If they weren’t thinking so, why would they participate in the exchange? Finally! Well done to you. These agreements are negotiated by those most insulated from the consequences yet who derive the greatest benefit of ever lower prices and wider selection. What matter is to them that China opens today or 30 years from now? But for labour at the textile mill displaced another comparable job up the value-added industrial chain is needed, yet deferred liberalisation by the developing state denies them this opportunity. Add in transnational migrant labour and you have about 18,500 J-1 visas issued to au pairs. Who is hiring au pairs? Many of the same families who have members that negotiated the trade deals. Strictly speaking this isn’t true: what people need isn’t jobs (work), but goods. People work in order to produce goods; were people able to acquire goods without work, they wouldn’t work: work has disutility. So what people really need is productive work (jobs) where they can produce goods with high(er) productivity: that’s the source of riches, i.e. more consumer goods. When you talk about ‘comparable’ jobs, you obviously mean “jobs which provide comparable real wages”. Real wages are the function of productivity; and productivity is the function of capital investment. So “comparable jobs” are possible only if there’s more capital investment into the production of the goods produced by the new jobs than what was the investment level into the old, disappeared jobs (in this case the textile mill jobs). Which means that textile mill jobs can’t be replaced by textile mill like jobs in order to be ‘comparable’ jobs: people who lose their jobs in textile mills need to get better, i.e. more productive jobs in order to maintain (or improve on) the previous level of their real wages. Or, as Prince Andre advised Pierre in “War and Peace”, the serfs need physical work in the same way the aristos need intellectual work. That is true. I was born into the working class and for the first 10 years of my working life I was one of the serfs; I broke bulk as a stevedore and was a construction laborer. My co-workers could do and enjoyed doing the kind of things I had a good deal of trouble doing. I taught me something; in another time and under different circumstances I would have been in the bottom 10% not the top 10%. You’re right that a comparable job is one of comparable real wages. Under genuine free trade China’s auto market would have opened at the same time the developed world’s textile markets opened. Though the demand for cars would be lower than the developed world, over time this increases as more Chinese workers enter the middle class. The demand would be met by products coming from the developed world which have a comparative advantage in technology, quality, features, etc. This increasing demand should have increased employment opportunities for displaced textile, steel, and other workers in the developed world. Instead, China was allowed to protect this sector and any automaker that wanted to bypass these barriers had to form a joint venture with a local automaker and employ Chinese workers. Rather than displaced Western textile workers shifting to automakers due to increased worldwide demand, these jobs were exported overseas in place of cars. Chinese makers, protected by the barriers, acquire know how and not only meet domestic demand, they now export to many countries of the least developed and developing world. Soon enough they’ll enter the developed world’s markets. Agree with you that an edit, or at least a preview feature, would be welcomed. Yes, though such ideal free trade has issues just as the ideals of “pure liberty” might suggest anarchy. Free trade is also a misnomer when the people who do the trading are themselves not free to live where they want (and presumably can afford and follow the laws). All non-coerced trades are win-win as you say, even if others may prefer we don’t make that trade (those “others” being those who no longer can compete). Neoteny is exactly right to point out the distinction between free trade and state managed trade. Some of the most important advocates of free trade (e.g. economist Anne Krueger) have expressed doubt about free trade agreements and customs unions. And there’s substantial evidence that this sort of state-managed trade displaces other trade, benefiting the politically-connected at expense of those not well connected. True free trade is perfectly compatible with the existence of national sovereignty and doesn’t require thousands of pages of fine print in trade agreements. Hence it doesn’t provide any leverage for globalist elites, who prefer state managed trade. Exactly, Mr. Steele. And, too, there’s a difference between “free trade” and “fair trade.” Imagine two nations, one that allows forces its workers to work at 2 cents an hour. Because of its veritable slave labor force, it can produce tennis shoes much more cheaply than a country with laws that protect workers (oh, wait, we don’t have to imagine that; we live that). Would it be fair and good to allow corporations in your country to close up and move to the slave labor country so it can sell its cheap shoes back to your now underemployed/unemployed citizens? Globalists and Overly-big Business say it’s a great idea; I disagree (and so do thinkers like Pat Buchanan, who’s been writing about such things for years while being accused by the media and bought-off globalists of both political parties of such sins as “protectionism” or “nationalism.” “Just like Hitler!”). At some point, people have to ask themselves which they value more: fairness, employed citizens working at fair wages, working cities, naturally distributed wealth, independence (see below), etc. — or cheap Nikes and a handful of rich Zuckerberg types. There are also considerations of the common good, such as reliance on other nations for commodities that one’s nation can produce for itself and only gets from others at the cost of independence. Ex., if country X relies on country Y for all of its oil, and then country Y goes on to do something evil against country X (or to its own citizens), country X wouldn’t be in a position to resist because of its reliance on Y for its energy. It makes sense to trade for things like champagne and chianti that one can’t produce for oneself, but to rely on other nations for commodities that are crucial to the survival of one’s nation’s is insane. Great points about the obvious downsides of “Free Trade” that are typically overlooked by the globalist class. It’s also interesting that often the advice from globalist institutions like the IMF to developing nations is that they need to forget about having a diversity of industries, including their own food production, but instead focus on a major cash crop that can be exported. In a world of Black Swans, profound uncertainty, and the constant potential of a major war, environmental or economic collapse, that’s some pretty terrible advice. You seem to think wage differences between U.S. and China are permanent. They are not. Wage rates within a country are basically determined by labor productivity within the country. As a country develops, it builds more capital per worker and technology improves, and labor productivity and wages increase. This happened in postwar Japan; it’s now happening in China. China is no longer the low wage country; increasingly it’s a higher tech country. Trade simply does not impoverish a nation; it does not matter whether the nation runs trade surplus or deficit. Your last point about not relying on imports for things crucial to national survival is, of course, sensible *if* applied to things that truly are crucial. E.g. U.S. should never buy software or hardware for military systems from China. OTOH the American Sugar Griwers Alliance used to argue for U.S.Sugar Program ban on sugar imports b/c “sugar is a strategic commodity.” Way back in 1691 Sir Dudley North exposed the “protectionism for the common good” fraud as a tool of the businessman who is too lazy or incompetent to compete. Maybe eventually this will sink in. As a lawyer I see this sort of over-complication by government all the time. Governments will inevitably enact more legsilation rather than repealing old legislation. Thus I laugh when I hear people advocate for the ”legalisation” of drugs. Those poor innocents think that the government will just repeal all the laws banning drugs and we can all go happily on our way. But of course the government would immediately introduce thousands of new laws regulating the production, didtribution and consumption of drugs. “[T]he principles of limited executive power and individual liberties” are not rooted in Protestantism, but Catholicism. It wasn’t Catholic monarchs who embraced the idea of absolute monarchy and “the divine right of kings,” for ex. That stuff is pure James IV, the guy some Protestants see as having sole authority to deal with Bible translations (see https://en.wikipedia.org/wiki/Divine_right_of_kings). Anyway, the Catholic political principle of subsidiarity takes care of all the stuff this article is concerned with. It’s a principle that’s ignored at the cost of enduring tyranny. That too many post-Vatican II “Catholic” prelates tend to ignore it (along with a big chunk of Catholic social teaching, but that’s another story) doesn’t make it any less true. S-U-B-S-I-D-I-A-R-I-T-Y: learn the concept and spread it around. Restore political sanity. Subsidiarity, in the Catholic sense of the word, is not the democratic-republicanism of the Calvinists. The key difference is subsidiary Catholic institutions are never independent of the Vatican and have no ability to check or correct their assigned priests and bishops and no ability to check or correct the College of Cardinals or the Pope. Subsidiarity is Potemkin democratic-republicanism, all of the form and none of the substance. Besides, your source, Wiki, tells me that notion of subsidiarity is new to Holy Mother Church and was recognized only in 1891, 300 and some odd years after 1517. EK, we’re not talking about Catholic insitutions, but government. All modern States but Vatican City itself are independent of the Vatican, and subsidiarity still applies in Catholic social teaching. A Pope’s formally declaring something doesn’t mean that that something wasn’t recognized before. P.S. Donald Trump has actually proposed neoteny’s one-sentence free trade agreement during trade negotiations, several times. So far as I know he’s the only American president ever to do this. This seems to have had zero effect on public debates, which, understandably, are too important to be sullied by facts. Trump can barely put together one sentence. So far as I know he’s the only American president completely unsullied by facts. Globalism is the latest incarnation of imperialism. Imperialism generally begets nationalism. Nationalists are not de facto xenophobes but rather are resisting threats to sovereignty. Imperialist impulses are not confined to either the Left or the Right. Imperialism is generally a product of elitism or a counter to an opposing imperialist threat. Imperialism generally wears out its welcome and is only sustainable in countries fearful of a greater regional threat. One man’s Nationalist/Nativist is another’s Patriot/Freedom fighter. Charles N. Steele: On Trump’s trade policy, more recently the Europeans called his bluff, specifically on car tariffs, and he had to walk that back. Said they don’t seem to like US cars too much. roccocannoli: On looming civil war in Europe: let’s not lose it over a few migrants. That’s all going to get fixed, anyway. Even liberals such as Macron and Merkel will quietly see to it that immigration is a lot more selective and a clear win-win for the great majority of existing residents and hand-picked newcomers. And Britain will find a de facto way to be part of Europe, subject to the vast majority of European regulations. (Subsidiarity is swell until you either pay 5 points of your GDP to reinvent the wheel, with your own mini-bureaucracies, or your trading partners say we’re not going to accept your defective unhealthy crap, at least not without a couple of days of customs inspections and border truck queues the whole width of England.) Mark my words. neoteny: There’s no way that Canada would ever agree to a trade agreement without a dispute resolution mechanism, just like most companies won’t sign a contract without a binding arbitration clause. Without Canada, Trump’s initiative will go up in flames. Watch him fold yet another overplayed hand. “A few migrants”? LOL That’s a laff. And no matter how “few” you think there are, all it takes is “enough” to get the host population ticked off by all the rapes, stabbings, acid attacks, moped attacks, car fires, bombings, no-go zones, double standards for their way of life relative to the newcomers’ ways of life, etc., to get something started.And the host populations in lots of European countries are headed in that direction. Re. the rest: there’s no need to replace bureaucracy with bureaucracy. Legislators should allow individual companies and individuals themselves to trade, keeping in mind the common good of their nation. Except trade dispute resolution mechanisms do not resolve trade disputes: for example observe the continuous dispute over Canadian softwood lumber exports to the USA. Or the dispute over the national contents of cars. Or the dispute over the Bombardier C series planes’ sale to Delta, which dispute Bombardier won over Boeing — and which decision surely did not endear NAFTA in the eyes of President Trump. Nice use of “moribund.” I wonder if the author is a medical doctor. Pingback: Национализам и Либерална империја – White Stag inc. Interesting to compare this to the previous essay about the leftist embrace of non-Western authoritarians who reject European liberalism. So is the Saudi Kingdom for example, wrongfully illiberal for refusing to tolerate free expression of religion? Or is it merely pursuing a non-Western vision of nationalism which we must respect? Great, provocative question, Chip. If I can speak for the ethnonationalists a little, I think they would want to confirm that the Kingdom is acting in conformance with the authentic wishes and traditions of the local (ex-Bedouin-?) majority in sticking it to the various minorities. In essence, they’re real big on majoritarianism, however the majority is defined under that particular autocrat, fuhrer, king or sultan. And suppose they were, in fact, acting in conformance with authentic traditions? Are there any universal rights and liberties which can’t be subordinated to authentic tradition? What if there is no one single authentic culture in Saudi Arabia, or England for that matter? What if something like female genital mutilation, or abortion, is something bitterly contested, without a clear and obvious majority? Because what the nationalists are searching for is their equivalent to Marxism. That is, for some universal formulation, an algorithm that will always return a just outcome without the need for the difficulty of engagement, without the messiness of ambiguity and contradiction. The ethno-nationalist creed can be plugged into Argentina or China, Russia or Mozambique, and reliably produce a good and just result. Instead, what if we accepted that justice will always look different to different groups, and require difficult negotiation and sometimes outright conflict. DoeRayMee – Your second sentence “Which is to say” does not at all follow from your first. For example, I own my car. That’s a right. If someone steals it, it is still mine – I have the right to it – yet the right was not defended. None of this has anything to do with the universe conveying rights. Rights are relations and limits between individuals. And your final walk-the-talk point seems to be “might makes right.” Perhaps might gets its own way, but that’s quite different from what is meant by a concept of right, or rights. Confusions such as you’ve expressed muddy the water. This realization on my part is a key part of why I came to reject the interventionist — aptly termed “liberal imperialism” — elements of neoconservatism and to recognize the limits of cosmopolitanism, i.e. that I had the liberty to indulge such a conceit because I could rest on the bedrock of the freedoms and civil society wrought by the Anglo-American tradition. I think the Anglo-American cultural and political program can succeed among non-Anglo-American people, but it requires an effort to inculcate it and maintain it. This used to happen in pre-1965 America as the norm among immigrants. It continues to happen among post-1965 immigrants, when individuals pursue traditional Anglo-American values values of their own volition. But realistically, education, media, and cultural output are on the balance, strongly aligned against the Anglo-American tradition and the Anglophone, and indeed, all Western nations. It’s also a problem that many Jewish intellectuals fail to see that the flourishing of Jews in the U.S. is a product of the opportunities provided by the Anglo-American tradition and not some free-floating “classical liberalism.” This the error Quilette’s Claire Lehmann makes, as does Jonah Goldberg of the National Review. I respect both, but they have a major ideological blindspot here, one I attribute to their ardent atheism, as in they fill the void of spirituality with their liberal doctrine. How to go about making a better future world is a complicated project. All I can say is those who now run the Western world ascribe to the tenets of Social Darwinism and little else. Which might explain why they get along with the Chinese, who also believe in Social Darwinism. Christianity rejects Social Darwinism by the way. Clearly nationalism has nothing to say about international political order. That’s the concern, that it focuses on the nation over international cooperation, which is nonsense because all nations do better over time when they cooperate with other nations. The world is no longer limited to local borders because it’s easy to travel and communicate and trade over distances, with money moving globally with the click of a button, as well as computer and missile attacks. Nations exist and will for the foreseeable future, and that they make their own laws and look after themselves is clearly established. But nationalism suggests that’s all important. After all, I am sure I am most concerned about my self-interest, but if that’s my only interest, I become a narcissist and tyrant. As opposed to what, not being concerned with your physical survival and “welcoming” invasive hordes (oh sorry, no one actually consented to this in our so-called democracies–the only country that put it to the people, Hungary, is ironically being denounced as “undemocratic”) who want to conquer us and are more and more forcefully and openly saying so as they gain more demographic clout in our lands? Keeping our territories as our own doesn’t preclude any kind of cooperation with anyone else. Not keeping our territories means you and your bad ideas and maladaptive genes are heading straight into the dustbin of history, and unfortunately you are taking the rest of us who aren’t suicidal psychopaths along with you. What a load of dreck, I nearly quit reading when the author asserted that imperial projects weren’t nationalism. Of course they bloody were! They were direct consequences of various nations’ self-interested quests for wealth and power. The colonized, who of course already had a sense of their conquerors as outsiders, and were generally not treated as citizens and incorporated into the nation, developed their own national identities as a remedy to rally against their overlords. This makes perfect sense in the contingency of history, but it is no argument that ‘nationalism’ should be elevated to some sacred or even desirable principle. In much the same way, a pan-African ‘black’ identity developed in the US in response to the self-interested exploitation of whites, who had themselves once had no cohesive notion of a common “whiteness”. Are the readers here going to suddenly embrace racial identity as the optimal organizing principle of society? itself. States, districts, etc. agree that the federal government has a superior authority, but between nations there are only agreements between equals. Recognizing this current model does not however imply that it is the end of history. It’s no argument that international superstates or global authorities can’t or shouldn’t evolve. Historically, people conceived of themselves as small tribes, as large tribal alliances, as city states, as feudal principalities, as loose confederations of states, and as modern nations (among others I’m sure). Why should we freeze the current status quo in time and declare that ideal? There are plenty of valid questions about how we should humanely and wisely deal with immigration, international conflicts, trade deals and so on. None of that requires elevating “the nation” to some jingoistic pedestal. I like my nation when it does good things and dislike it when it acts badly; I don’t have some kind of unquestioning loyalty and I don’t demand that it become the fixation of history. So does Hazony support nationalists in Israel? Is Netanyahu a globalist because he doesn’t believe in Palestinian statehood? Imperialism as it is commonly known never was advocated on anti-nationalist grounds. The USSR wasn’t an exception considering its Russophilia and co-opting of various nationalist tendencies in the SSRs. Georgia’s first president was the nationalist Zviad Gamsakhurdia, whose father was protected by Beria. Coincidentally Gamsakhurdia’s (and the other nationalists who succeeded him) uncompromising defense of his nation’s sovereignty–similar to today’s brave heroes Orban and Salvini–resulted in the country now having about a quarter of its territory under occupation. I’d argue the idea of the nation state is first and foremost the product of convenience. It’s just easier to govern a linguistically homogenous community, than it is to unite people(s) under one flag who don’t understand each other. As such, the nation state is something like an “attractor” in an essentially chaotic system. But there is no compelling reason why effective government shouldn’t also be possible across linguistic borders, particularly when there is a widely spoken lingua franca (English) and a somewhat similar set of values which is shared by the participating nations. Both approaches have advantages and disadvantages, and there are no “absolutes” in the sense that one model will always be the more desirable under all circumstances. The European project, for example, despite its current overstretch and other problems, provides benefits to its participant countries that none could ever have realized on its own. My guess would be that economic incentives will continue to be the driving force behind an ever-closer integration, maybe not towards a “world-state” right away, but towards blocks of countries that share a common outlook.